Our Products is the result of our commitment to the development of new and exciting innovations. This new line of products has been designed without compromising the level of quality that we are known for, truly concentrated product line. Your vehicles skin is priceless! 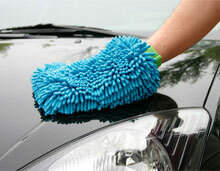 Neopol Car Wash is the ultimate in "skincare" for your cars paintwork. Neopol Car Wash has what your car needs. Gloss conditioners to prevent spotting and streaking. Neutral PH for gentle cleaning. Proper lubrication to prevent scratching. 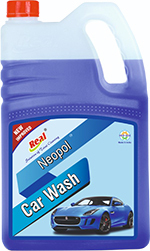 Neopol Car Wash is a gentle car wash concentrate that safely cleans. Special lubricants buffer your car's delicate paint finish, protecting it from scratching and swirl marks. Dirt and gift safely slip away. Neopol Car Wash conditions and restores wax protection as you wash. Neopol Car Wash is optimized for use on modern clearcoat finishes, creating a freshly waxed appearance and protection every time you wash. Special polymers protect and shine for lasting beauty. 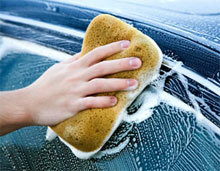 Neopol Car Wash formula is Ph-balanced, biodegradable. Neopol Car Wash is a blend which impart a natural look to rubber must and tyres and dries to a non-slip finish. Mix 10 ml car wash in to suit of water in bucket.